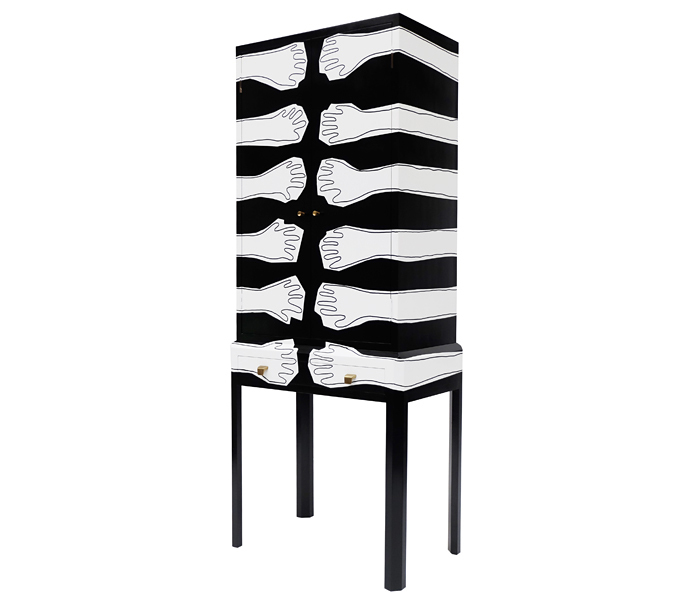 Bespoke cabinet finished in a freeform handmade illustrated design. Painted and drawn 'grapple' design on a black lacquered surface. Cupboard with two adjustable shelves. Single drawer. Brass handles.